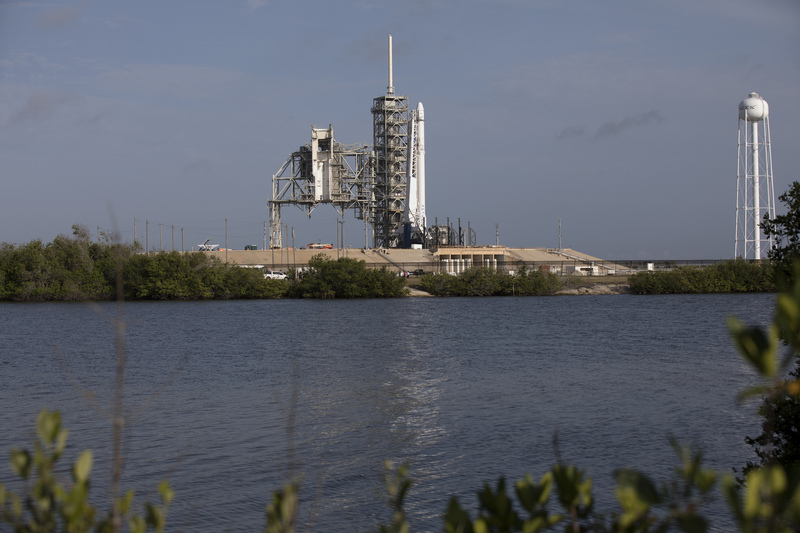 The SpaceX Falcon 9 rocket, topped by the Dragon spacecraft, awaits liftoff from Launch Complex 39A. There is a 70 percent chance of favorable weather for Saturday’s planned launch of the eleventh SpaceX cargo resupply mission to the International Space Station. The forecast provided by the U.S. Air Force 45th Weather Squadron cites anvil clouds, cumulus clouds, and flight through precipitation as the primary concerns. Liftoff of the SpaceX Falcon 9 rocket is scheduled for 5:07 p.m. EDT from Launch Complex 39A at NASA’s Kennedy Space Center in Florida. The vehicle is carrying a Dragon spacecraft loaded with about 6,000 pounds of experiments and supplies bound for the space station. Join us here Saturday beginning at 4:30 p.m. for live countdown coverage. For more information on the SpaceX CRS-11 mission, visit http://www.nasa.gov/spacex. For more information about the International Space Station, visit http://www.nasa.gov/station.